Over Spring Break my wife and I visited Easter Island, also known as Isla de Pascua and Rapa Nui (the current, though possibly not the original, Polynesian name). The island is known for its moai, almost a thousand monumental stone statues that were carved in the period between about 1250 and 1500. Thought to be a form of ancestor worship, many of the statues were transported to coastal sites around the island where they stood atop stone platforms known as ahu. 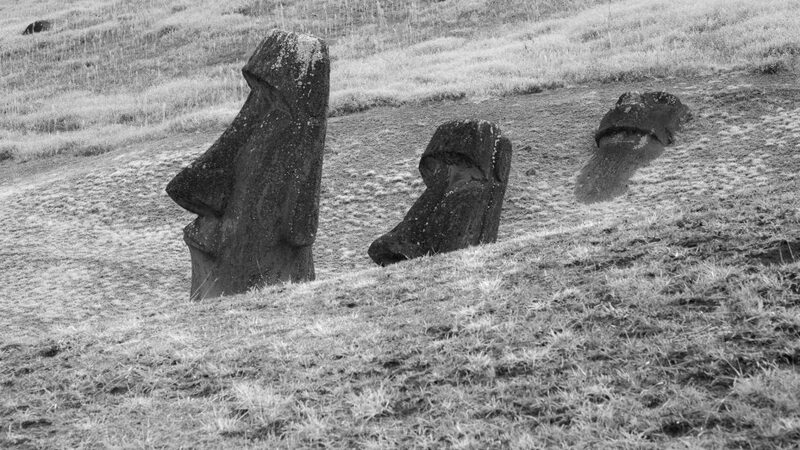 Others sit unfinished in the quarry, or appear to have been abandoned along old roads that led toward the coast, perhaps suggesting an abrupt end to the moai-building period. 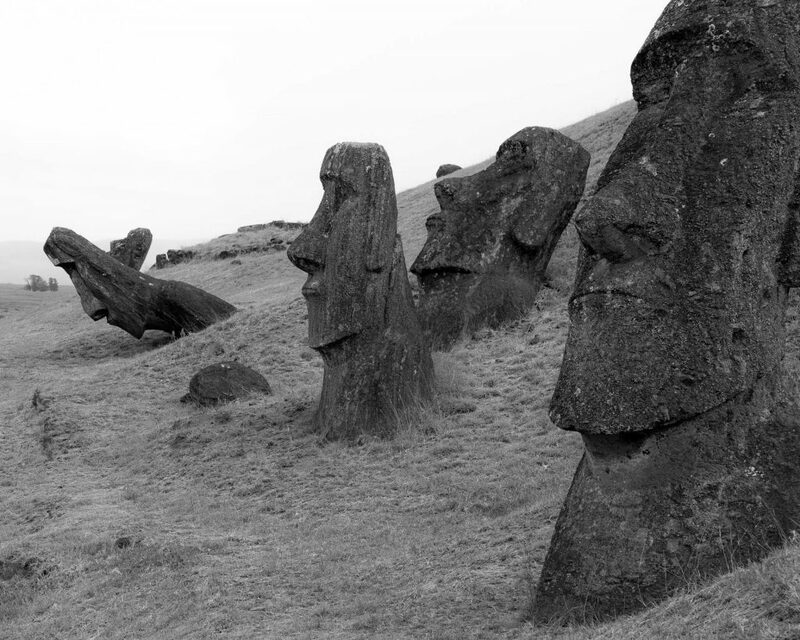 Much later, after the island had seen its first European visitors in 1722, all of the moai fell or were toppled, for reasons that remain unclear. 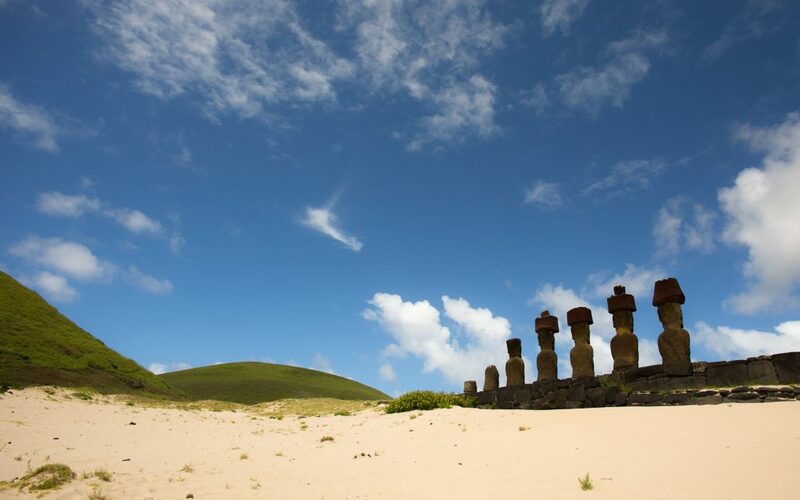 In modern times about 50 of the moai have been restored to their ahu at various spots around the island. The most impressive collection is at Tongariki, which is also a good location for seeing sunrise. The moai face inland, overlooking what would have been villages. Petroglyphs and the remains of boat-shaped houses are to be found everywhere. Another beautiful site is adjacent to the beach at Anakena. The moai here are well-preserved, and many have been restored together with their “hats” – cylinders of a different red-ish rock that were probably added to the moai at a later date. The ocean and beach here are good for swimming. Centuries after the moai-building period, the island supported a less mysterious but almost equally fascinating form of worship centered around the ceremonial village of Orongo. 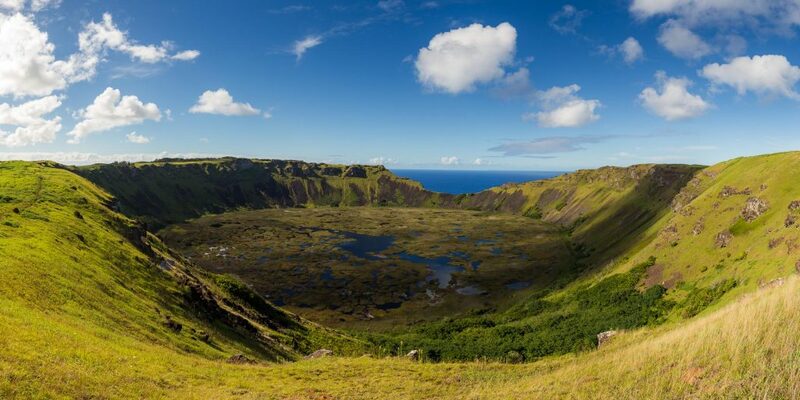 Orongo has the most spectacular situation of any spot on the island, overlooking steep cliffs and the crater of the volcano Rano Kau. It was the center of the birdman cult, in which men competed each year to collect and bring back the first egg laid on a small island offshore. The village is well-preserved and the site of the main visitors’ center for the national park. 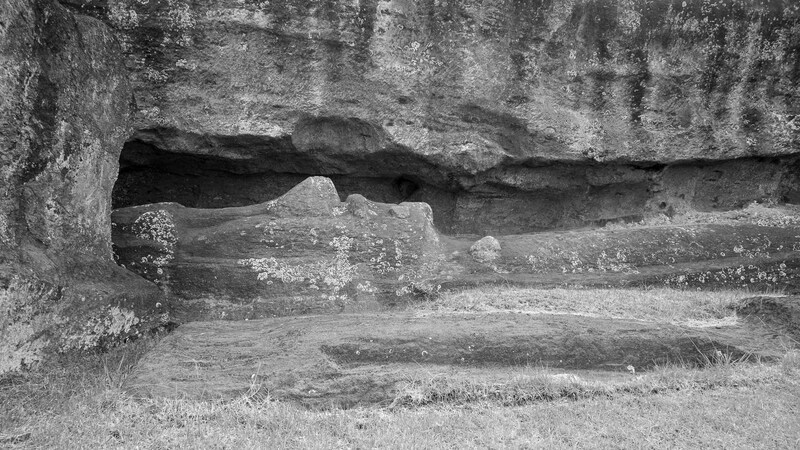 Photographically, Rano Raraku, the moai quarry, is by far the most memorable and evocative location. Here sit hundreds of statues in various states of completion and disrepair, including one 21m high that dwarfs any that was successfully transported to the coast. It’s an amazing and impressive site. For such a remote spot Easter Island is surprisingly easy to visit. The airport has a long runway – it would have served as an emergency landing site if the Space Shuttle had ever launched from the West Coast of the US – and LATAM flies 787s at least daily from Santiago. It’s a 5 hour flight. Coming from the other direction there are also flights from French Polynesia. There’s only one small town, Hanga Roa, but plenty of accommodation and eating options. We stayed at the Hotel Taura’a (recommended) and tried several of the restaurants. Te Moana, near the harbor area, was the best of the bunch. Car rental – small Suzuki 4WDs are most common – is easy to arrange through hotels or in person, but rather tricky to do online. One oddity is that no car insurance (apparently even for locals) is available on the island. Fortunately there’s not much traffic either! Internet and cell phone service are available, but don’t expect much in the way of speed. Despite being substantially devoted to tourism, Hanga Roa is quite attractive. There are no chain stores of any kind, and plenty of reminders that you’re on a very small island that somehow has to service the same local needs as much much larger places. 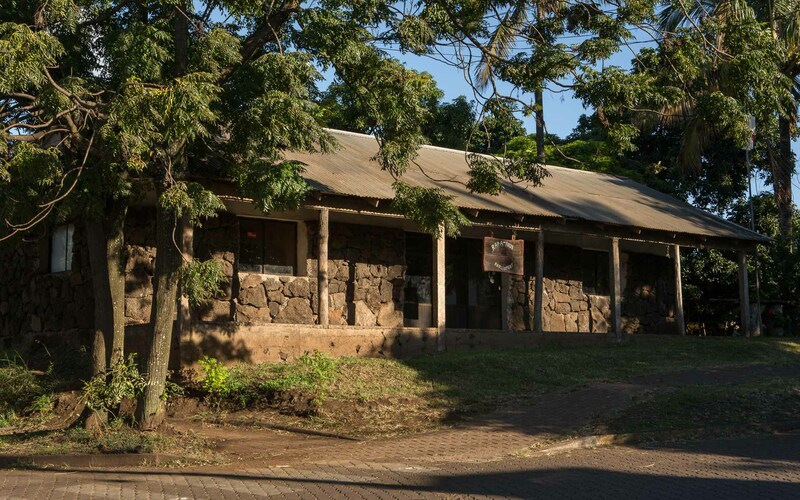 The few non-touristy shops stock a bit of everything, and there’s a pint-sized building housing the Rapa Nui parliament. We spent one full day touring with a private guide, and a couple of days exploring on our own with a rental car. That worked out pretty well. There’s only limited signage at the sites, so it’s definitely useful to have a guide, but it’s also true that not very much is known definitively about the society that built the moai. Going with a guide expect to get a mix of firm information, speculation, and a sense of what life is like on the island for the descendants of the original inhabitants. It’s a small island, so a few days is enough to get a reasonable sense of the main sites, though you could certainly relax there for longer. 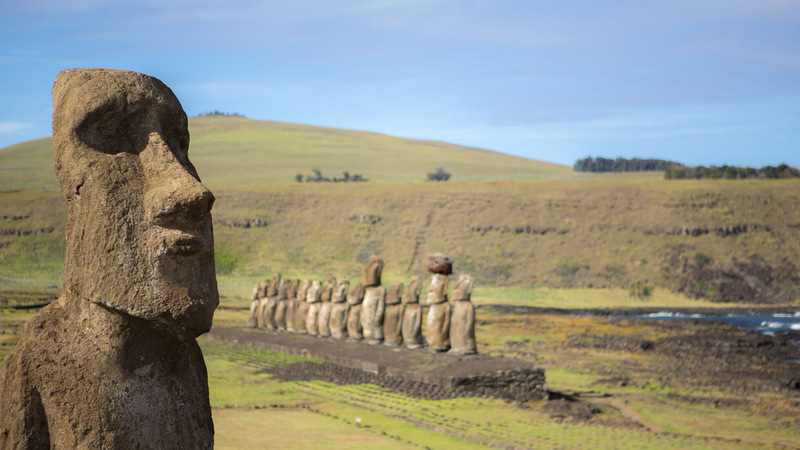 The mysteries of Rapa Nui are a large part of its allure. It’s easy to imagine what may have happened on the island as an harbinger of contemporary concerns, such as environmental destruction, even if the truth may have been more prosaic. Whatever the history it’s a unique and beautiful destination that we thoroughly enjoyed visiting. This entry was posted in astrophotography, black & white, Locations, Night by Phil. Bookmark the permalink.